Welcome home to beautiful Parsons Pointe! 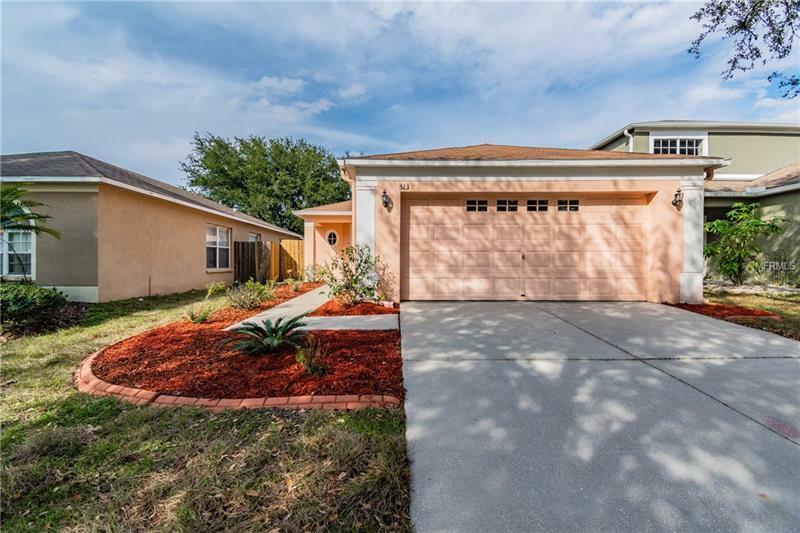 This 2003 built home has been METICULOUSLY MAINTAINED by the original owner and is centrally located in the community close to major roads and area schools. The home opens up to a spacious living room with vaulted ceilings and ceramic tile floors. NEWLY PAINTED INTERIOR(2019). Kitchen has a pass through bar into the dining room. The Master bedroom is spacious with a master bath and walk in closet. Two front bedrooms have been virtually unused with LIKE NEW CARPETS. LARGE SCREENED IN PATIO expanded with CERAMIC TILE. FRESH LANDSCAPING includes NEWLY LAID SOD and MULCH! Tall oak trees in front yard have been regularly trimmed. Attached 2 car garage has plenty of space for you cars and/or toys!